A new poetry collection by Glasgow-based poet & prose writer Jim Ferguson. Cover image by Scott S Simpson. Jim Ferguson is a poet and prose writer based in Glasgow. 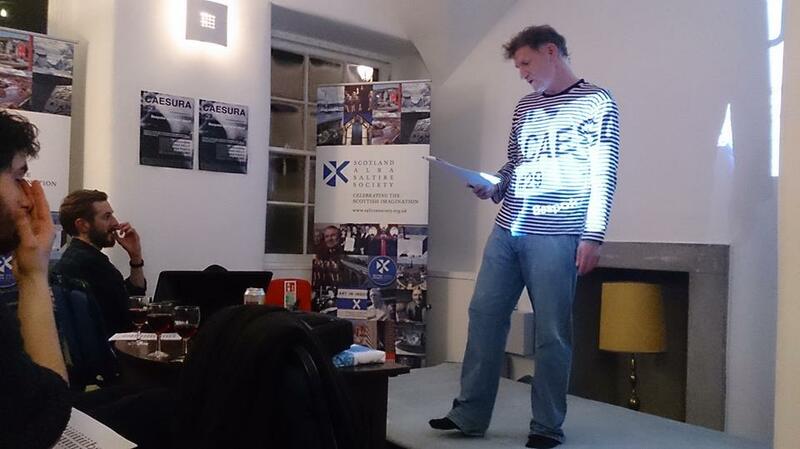 Born in 1961, Jim has been writing and publishing since 1986 and is a Creative Writing Tutor at Glasgow Kelvin College, having also tutored creative writing in Preisthill, Govan, Lochwinnoch and Easterhouse. He was the 2011 ‘Poet Laureate’ of the Scotia Bar, Glasgow and has had work commissioned by, among others, Scottish Television, Glasgow International Arts Festival, West of Scotland Housing Association, Scotland in Europe and The Clutha Trust. My Bonnie Scotland contains surreal, expansive poetry written in Jim’s free-flowing yet tightly crafted style – a unique collection from an idiosyncratic and highly talented poet.